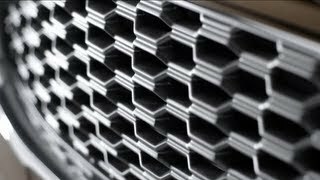 Ford has announced plans to launch a unique upscale product called the Vignale, which will have its debut at the 2013 Frankfurt Motor Show. 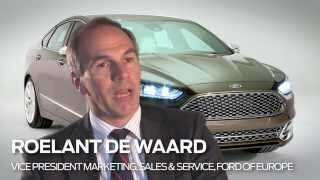 The Ford Mondeo Vignale Concept offeres unique design touches, high quality craftsmanship, exclusive specification and advanced technologies. 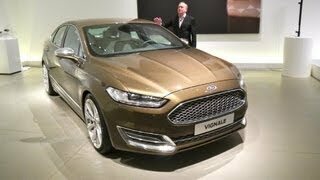 The new Ford Mondeo Vignale Concept has an exclusive and sophisticated four-door saloon and wagon body style. Both feature a mesh grille, unique front bumpers, fog lamps, exclusive “Nocciola” paint color, chrome door handles and mirror caps, “Vignale” badging and 20-inch Vignale alloy wheels with high-quality finish. 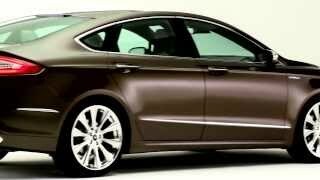 On the interior the Ford Mondeo Vignale Concept features quilted trim, chrome lower mouldings, leather armrests and exclusive seating with “Vignale” detailing and high-quality, soft-touch leather that extends to the steering wheel, instrument panel, centre console, door top-rolls and centre arm-rest. It also has the Ford SYNC with MyFord Touch in-car connectivity system which will enable integration of smartphones and deliver WiFi capability.